I originally come from Slovakia. I was born under the rule of the communist regime. It is very hard to explain what it feels like to live in a system where you were constantly watched by a government. There was no freedom to travel, no freedom of speech, food stores were empty. At the same time, there was lots of fear around. Spirituality was practice were quietly, and it was not a topic that you would had normally talked about. I was born in a very small village. Few years after The Velvet Revolution when the communist regime finally collapsed, I arrived to England. I was very young and eager to explore new possibilities, looking for a better life and being able to create a future that I desired. The journey was not easy, it was very difficult, especially when adapting to a Western way of living plus I had no language skills, apart from speaking Russian. We were considered as Eastern Europeans and we were frowned upon and look down because of our origin. What made you become a Reiki Master? Year of 2009 was my breaking point in my life. Basically, everything was turned upside down within minutes. The intensity of emotions I was going through at that time were overwhelming. I did not know that I carried a heavy burden on my shoulders, in my emotional and mental bodies. After two years of not being able to balance out myself, I understood that I needed a professional help. I was guided towards Reiki and I do not even remember how I found out about this energy healing system. It happened just out of blue. In 2013, I took a course of Reiki treatments. Three months later, I started to see some positive results. However, it was only a year later when eventually, I could tell that I was coming back to balance and harmony within myself. During this healing period, I committed myself to healing hundred percent, I was educating myself about the energy and subtle bodies and everything related. Gradually, I was taking Reiki courses and in spring 2015, I signed for a Reiki Master course. I was drawn to Reiki almost instantly, it is such a beautiful gift to humanity, to be able to channel and heal not only yourself but others too. Tell us a little more about, Reiki what is it exactly? Reiki energy is the Chi or life force energy that runs through each of us. ‘Rei’ means ‘ Universal, spiritual consciousness and the higher wisdom from Universe or the higher self. Rei is present everywhere at the same time and is understood as all-knowing and all guiding to heal whatever is needed. ‘Ki’ is translated as ‘Life Force’ that gives life to all living things. The Ancient cultures understood the importance of Ki energy and how it impacts our wellbeing. Ki can be activated for the purpose of healing. This is non- physical energy that flows through all living things. This is our life energy and it connects and pervades us all. Therefore, Reiki means ‘Universal Life Force’ or the directing of Chi energy to the right place for the healing that is needed. Reiki energy healing involves working with a higher dimensional being to bring physical and emotional healing to the recipient. It is believed that the technique was first used by Tibetan Buddhist monks and was rediscovered in the 1800s by Mikao Ushui. The Ushui system of Reiki is a very simple but powerful healing technique that is easily given, received by anyone. Is it a learnt skill? Anybody can learn Reiki and work with this beautiful healing energy. However, it is important to heal, purify and cleanse your chakra system and auric field completely before you start to heal others. I would not advise to offer healing sessions to anybody if yourself you are still going through healing. The subtle energy system is a very complex system and there is lots of depth which can be understood only gradually. As you go through the healing process, as you release and let go of everything that does not belong to ‘you’ and it is not ‘you’, your frequency and vibrations will rise. A new level of understanding of the whole creation and existence will be revealed to you. Therefore, Reiki is a continuous journey that never stops. Do you ever feel drained after a session? And for the client how would they feel after a session? As an energy healer, I practice ‘spiritual hygiene’ twice a day. It is so important because I am responsible for myself and for my clients. If your physical vessel is not ‘clean’ but contains traces of negative thoughts and toxic emotions or residues you may pass them energetically over to your client or on the other hand, you may pick something up from the other person. Spiritual hygiene contains daily Reiki meditations, grounding, centering, cleansing your chakras and auric field with breathing techniques. As a Reiki practitioner, you should be taken care of your physical body – getting enough sleep, eating high vibrational foods and avoiding toxic and processed meals. Therefore, I do not get drained after a session. It is not a good sign if a practitioner feels tired after working with a client. If this happens, it is a warning that you are giving your energy away and you are using your own energy for healing. Reiki energy is channeled through the crown chakra into the third eye then down to arms and palms. As I channel Reiki energy I also benefit and receive healing. What makes you a good Reiki Master? Being a Reiki Master does not involve spirituality only but it also includes being able to combine and balance out both – the physical and not physical. When you understand that everything is intertwined together and that everything works together and creates a perfect orchestra, you are a Reiki Master. It is this understanding of your true nature, the natural world, planets and the entire cosmos and that you are a creator of your own physical reality. It is also about being able to pass your wisdom onto others in such way that they will feel empowered themselves. How can Reiki sessions enhance someone’s life? Healing with Energy medicine is a beautiful journey. Reiki can empower one towards achieving goals, can be used to heal procrastination or to increase motivation and can be used in many different situations that need healing. Reiki brings a feeling of harmony and peace, balances relationships and communication, releases blocked energy and calms emotional, mental distress such as fear, depression or anger. Reiki healing energy works on releasing attachments to past issues, situations or people, can be used to cut negative energetic cords or even past life experiences. Reiki is a powerful energy that can cut through time and space and can connect with everything or anyone in the world. The energy bridges time – connects to the past, to the present and to the future. Any kind of problems can be infused with Reiki healing energy. Reiki always flows wherever it is needed for the highest and greatest good. You can never overdose with Reiki. How would Reiki sessions benefit someone? What is a recommended number of sessions a person should have. Number of treatments depends on how you feel and what you wish to heal. 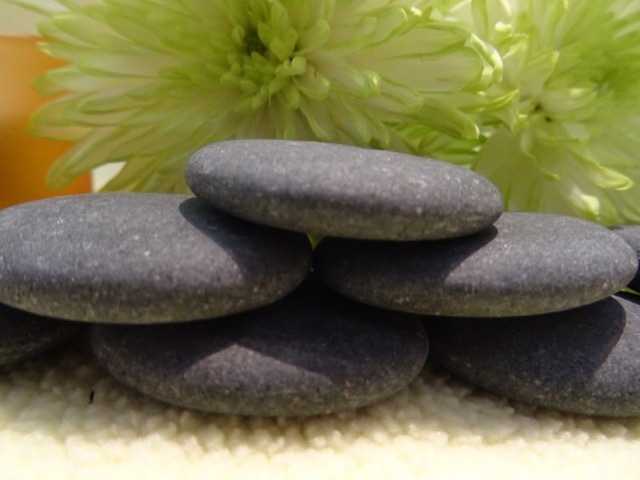 To release stress, anxiety or just to relax, one treatment every two or three weeks might be enough, however if you are looking to heal your emotional and mental bodies on a deeper level, you will need a course of Reiki treatments over regularly over a longer period to achieve the desired results. Does Reiki work on everyone? We are all unique and we all carry different energetic frequency and vibrations. The healing must happen on the mental, emotional and spiritual levels first. Healing of the same ailment may be very different in two people. We are energetic beings, holding different thoughts patterns, emotions and feeling therefore healing cannot be promised. It is important to understand that any unexpressed emotions or feelings cause energetic blockages in the energy body and when left unaddressed, over the number of years the physical symptoms will start to appear. The physical ailment is usually a ‘wake up’ call to look at our lives that changes are needed. What are some of the most common things Reiki can treat? The most alignments that can be treated with Reiki such as promoting and accelerating the body’s own natural ability to heal; Reiki aids in sleep, restful, peaceful sleep; Reiki balances Chakras in the body; Reiki allows a better dealing with daily stress and viruses; Reiki relieves pains and relaxes muscles; Reiki helps to free from addictions; Reiki clears toxins from the body; Reiki relaxes and reduces stress; Reiki Treats the root of illness. What would you say to naysayers, who don’t believe in the power of Reiki? I would say to try a session with me to see how your respond and feel. Is Reiki suitable for everybody? 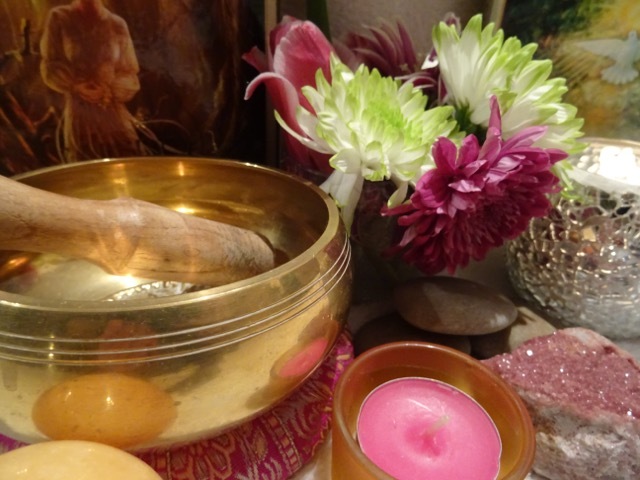 Reiki is suitable for anybody – babies, children, elderly or even pregnant women. If someone would like to contact you for more information or a session, how would they get in contact with you? If you would like to book a session with me, please email to reservations@abundantiaholistictherapies.co.uk. Our website has just been recently updated so all details and information a client needs to know prior to a booking can be found there.